The CL400 is a range of modern architectural hardware for sliding doors. 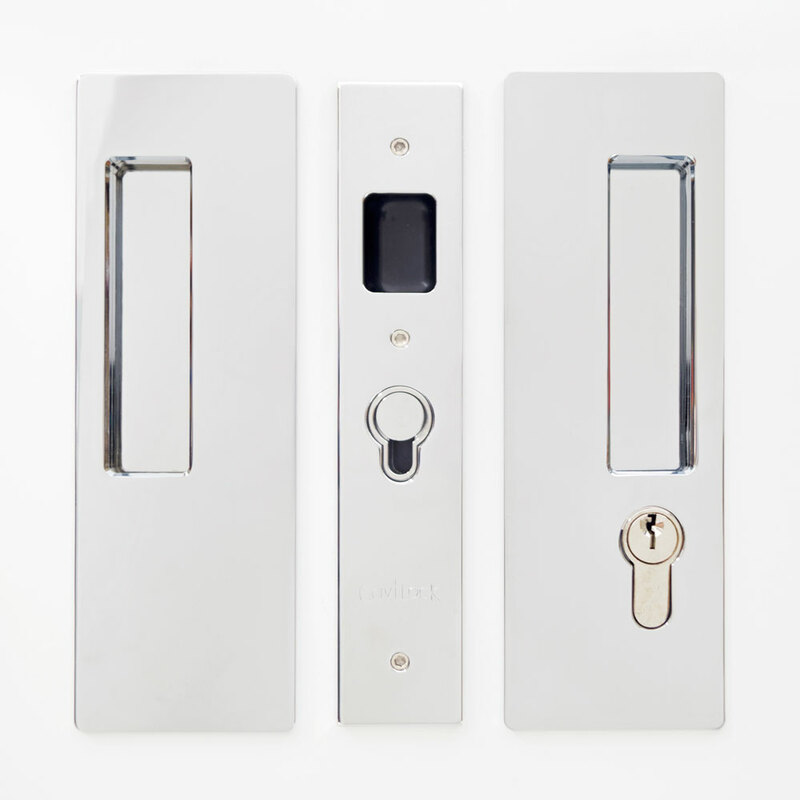 The range covers Passage, Privacy,Bi-Parting and Key Locking configurations. These high quality wrap around handles are easy to fit, requiring no complicated mortice cutout. Suitable for residential or light commercial use, and available in a range of finishes. Suitable for use on timber doors as well as the CS NewYorker aluminium framed door. No on site alteration of handle is required. Magnet produces a positive hold close. Positive grip for heavy doors. Moving parts sit flush until the door closes to minimise wear. Front edge incorporates a finger hole to retrieve door from the pocket. Simple cutout and installation instructions ensure quick fitting. Suitable for cavity or surface sliding doors. Patented magnetic catch and plunger action.